I have just completed my two days of judging at the Irish Quality Food and Drink Awards (IQFDA) 2016 held at the Dublin Institute of Technology (DIT). 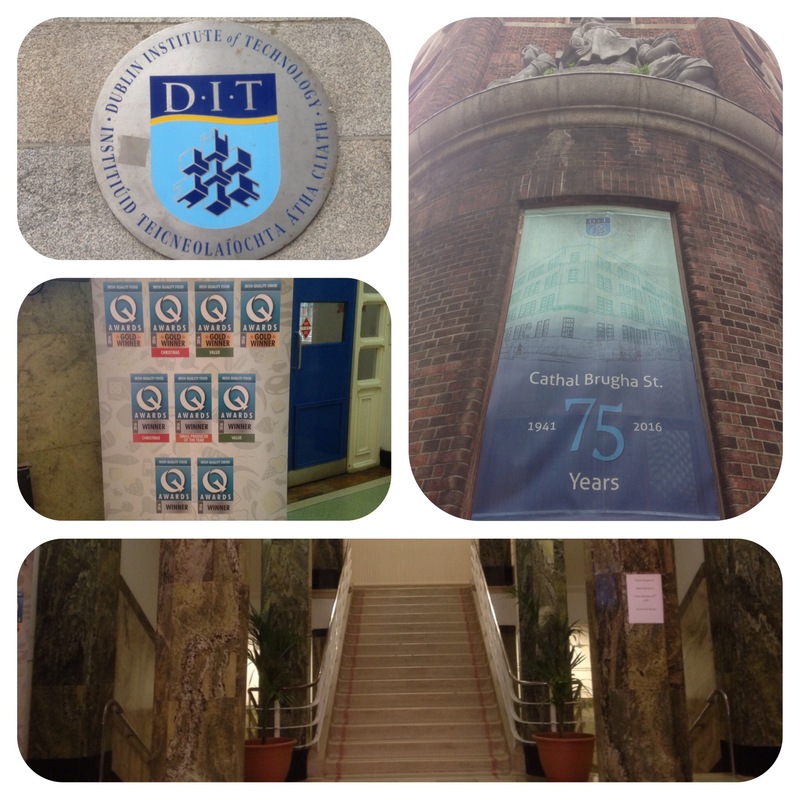 It was held in The School of Culinary Arts and Food Technology in Cathal Bruga Street (off O’Connell Street). This campus is celebrating 75 years-so happy birthday guys!! Yesterday (day 1) I, along with five others, were in the Private Dining Room and we sampled 48 offerings. There were four categories being Meat- Pork, Salad- prepared, Vegetables- prepared and Side dishes. For confidentiality reasons I can not mention any products, suffice to say the vast majority were superb, a couple were not and a few were exceptional!!! The samples were representative of the producers and retailers associated with the Irish High Street and food service sectors. 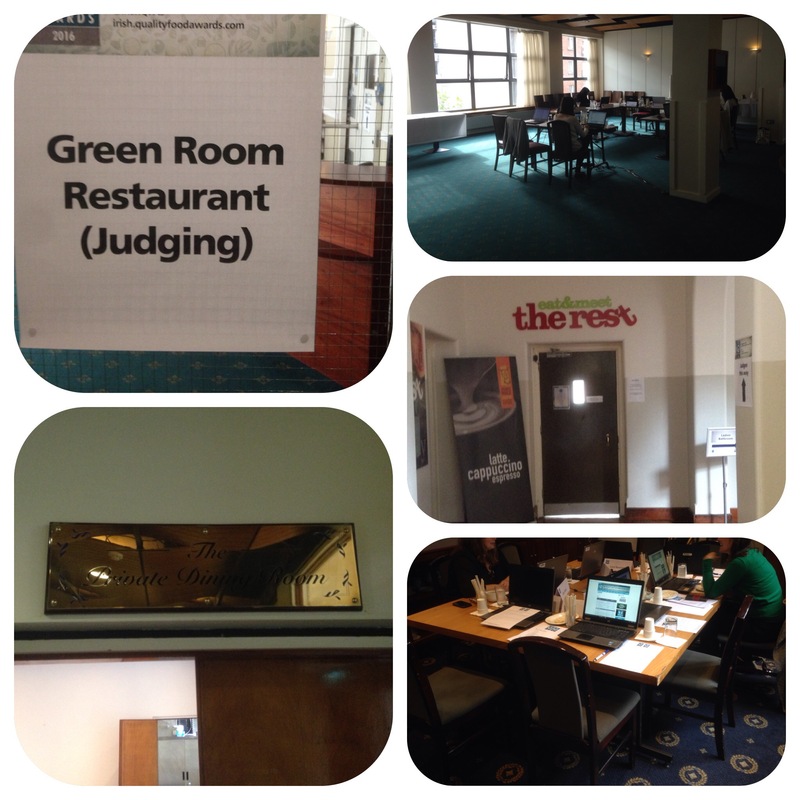 Day 2 was held in the more spacious Green Room, where I was joined by 8 other judges. It was rather a meat fest today and we sampled 41 products from the categories of Meat- poultry and game and Deli- pre cooked meats. The meats we tried were chicken, turkey, duck, goose, ham and beef (the others did). It’s truly amazing how many different types of ham there are and all the chemicals that are used in its production!!!! Again there were some fantastic products, the majority were fair to middling and there were some not so good ones also!! These two days were very educational as We really got a good taste and feel for what’s in our shops North and South. The IQFDA is in its fourth year here and the grand finale will be 8th September at a gala Black Tie do at Dublin Castle. The parent company has been running awards in the UK for 40 years.